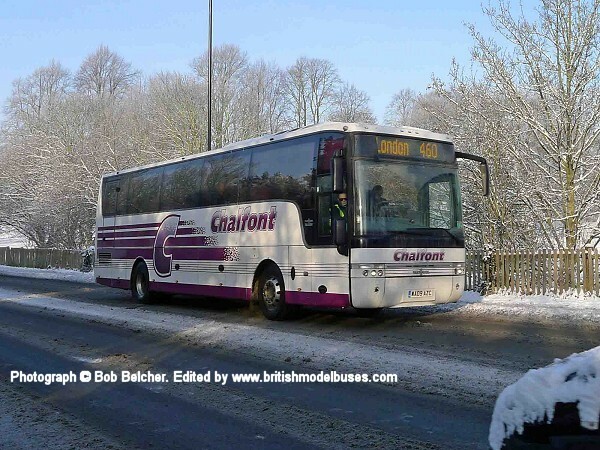 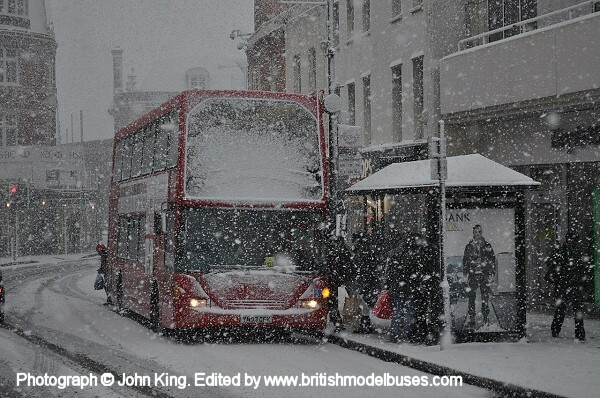 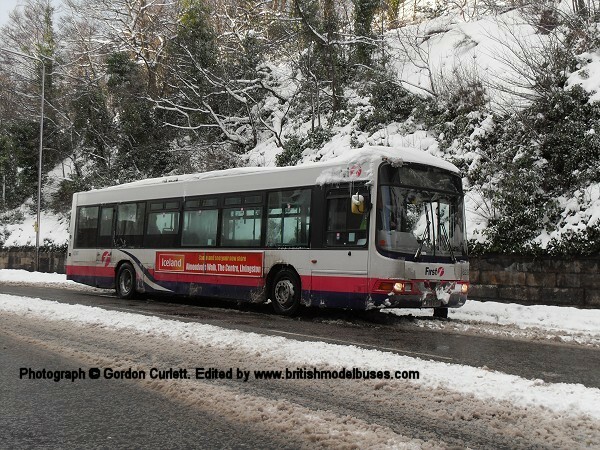 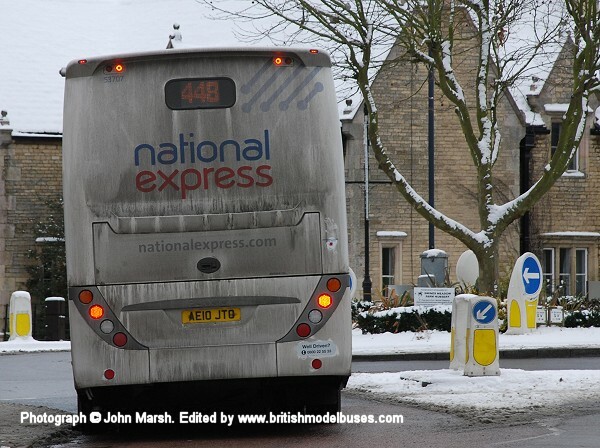 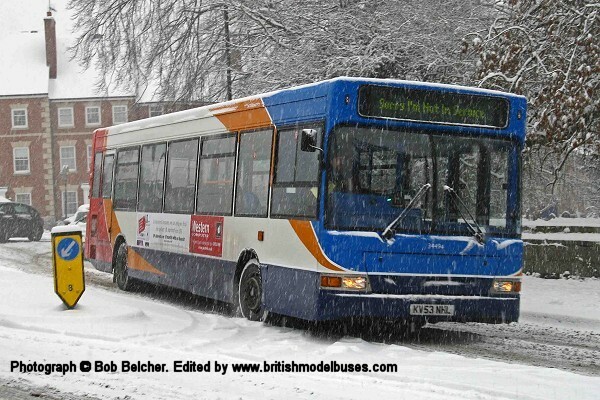 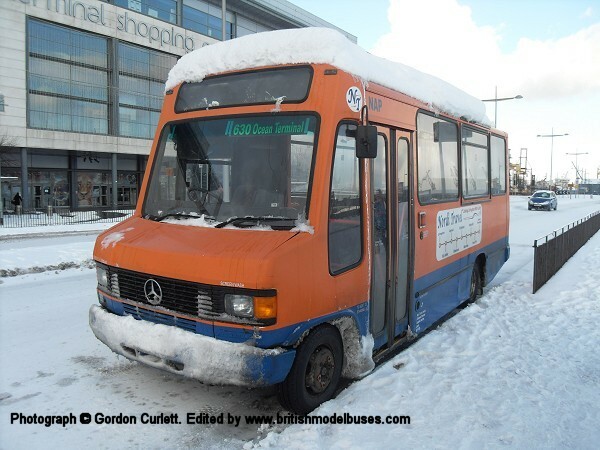 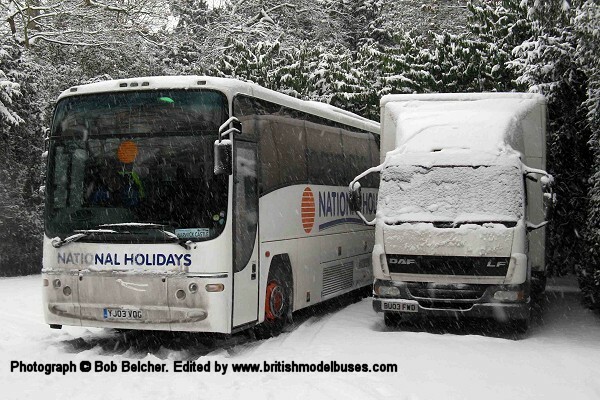 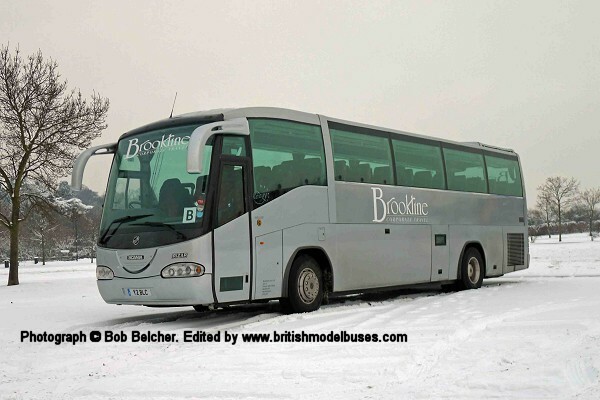 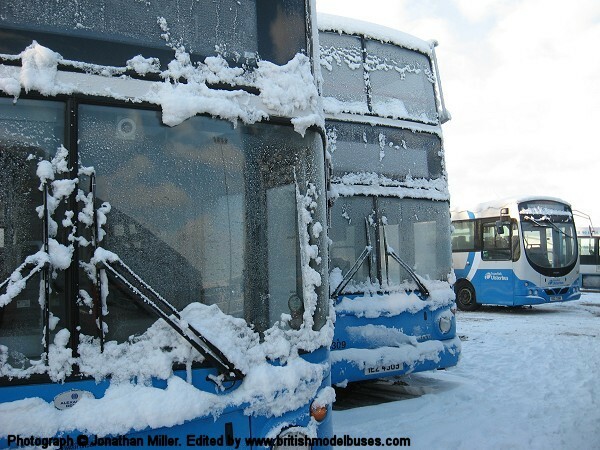 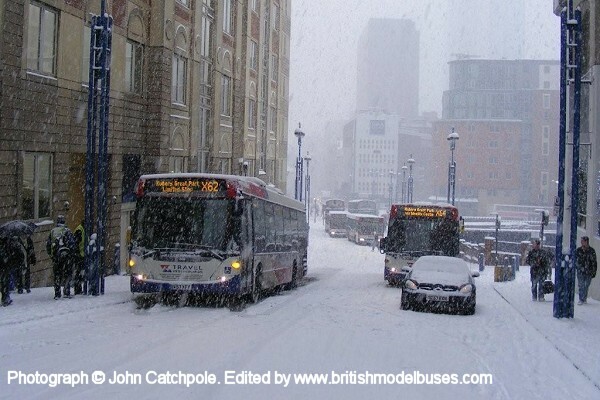 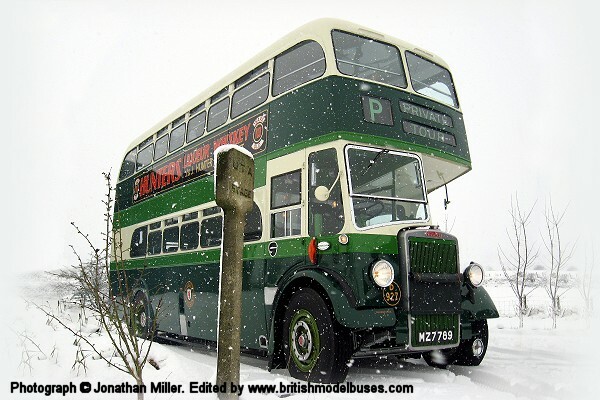 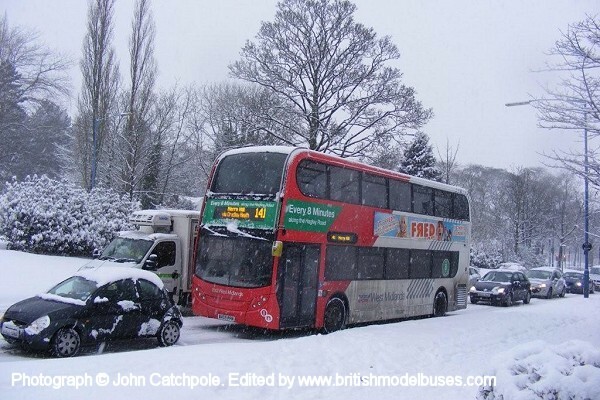 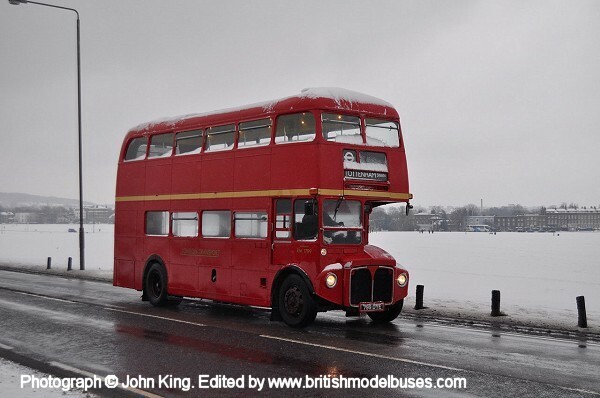 Shown below are a selection of photographs sent to me showing buses in the severe weather conditions that hit the UK during late November/December 2010, thank you to everyone who has contributed. 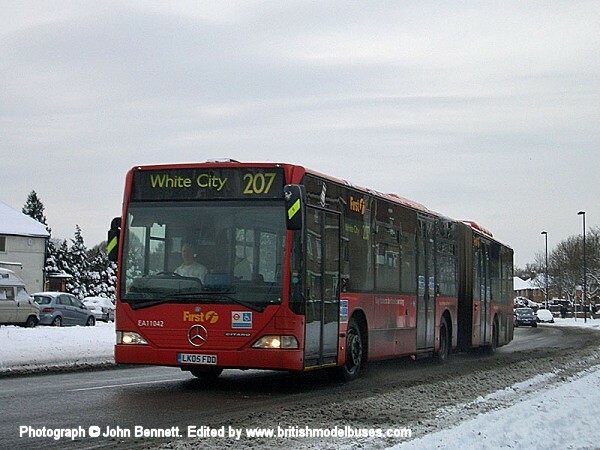 Taken on 22 December 2010, details unknown. 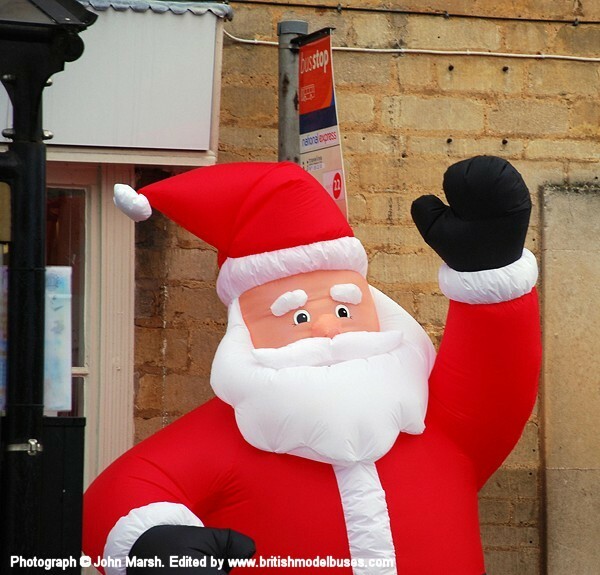 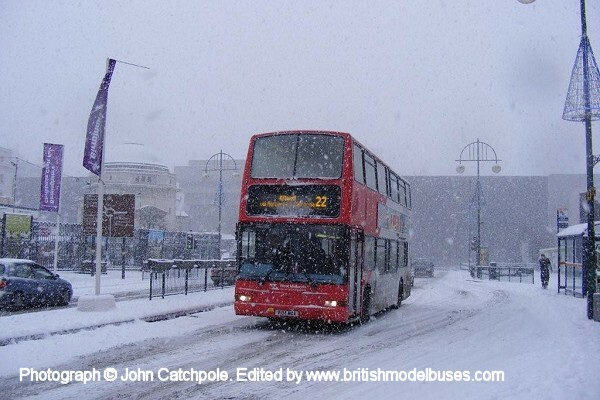 Taken on 22 December 2010. 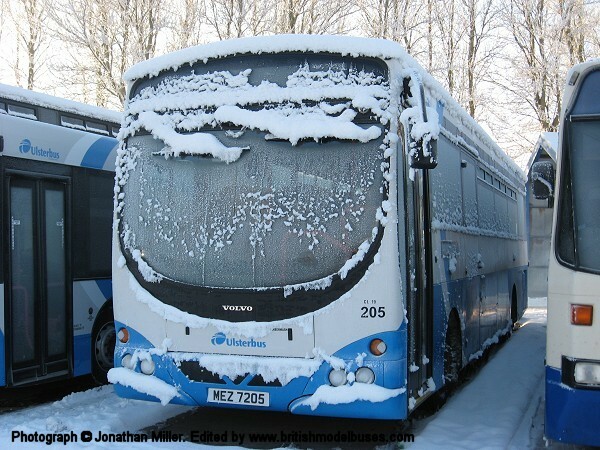 Fleet number 214 (YD02 PZO). 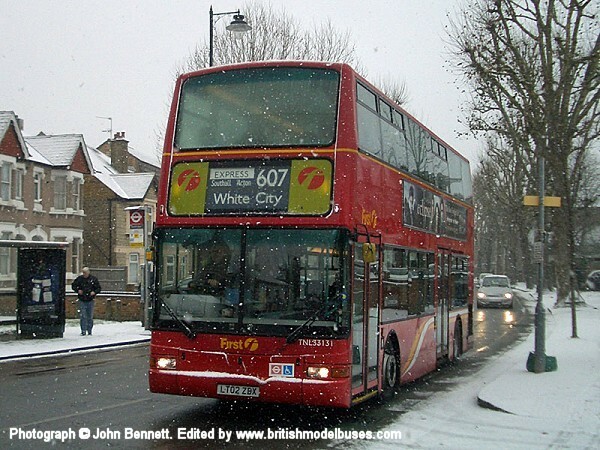 Left fleet number 716 (CN04 NRX), right fleet number 706 (CN04NRF). 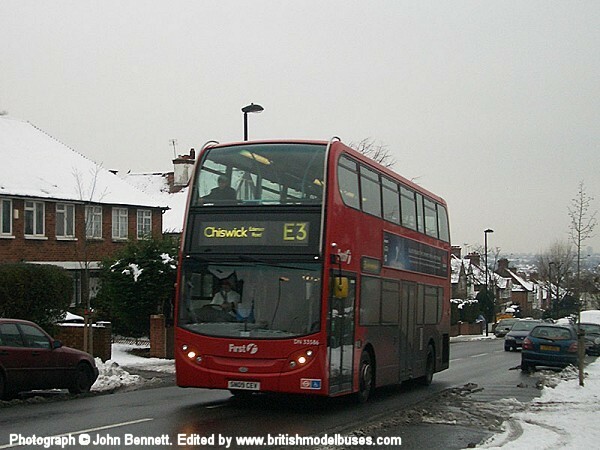 Fleet number 394 (CE02UVL) followed by fleet number 157 (V157JKG). 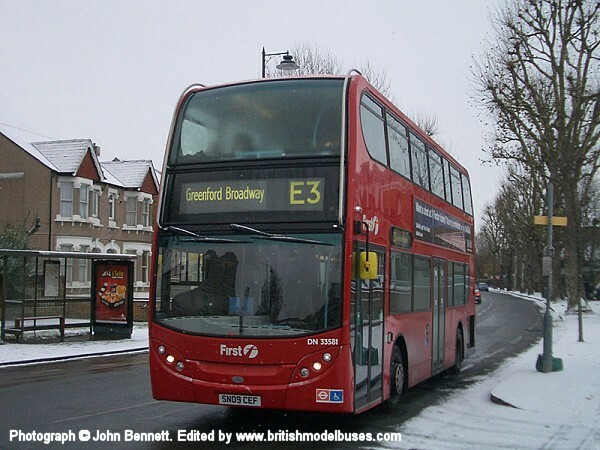 Fleet number 62387 (V529ESH), with appropriate side advert. 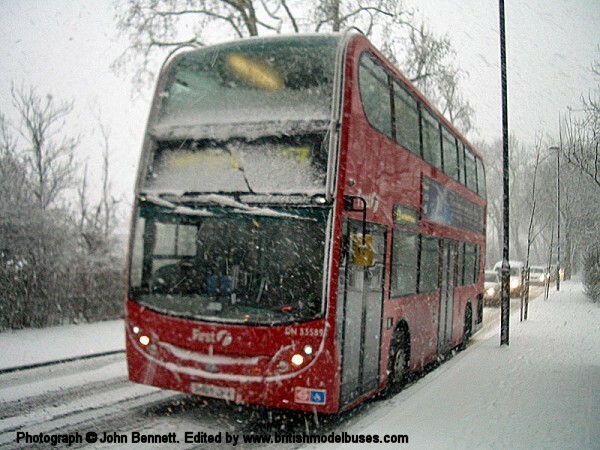 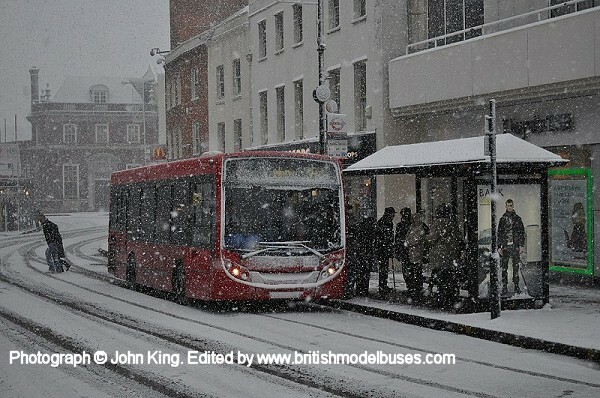 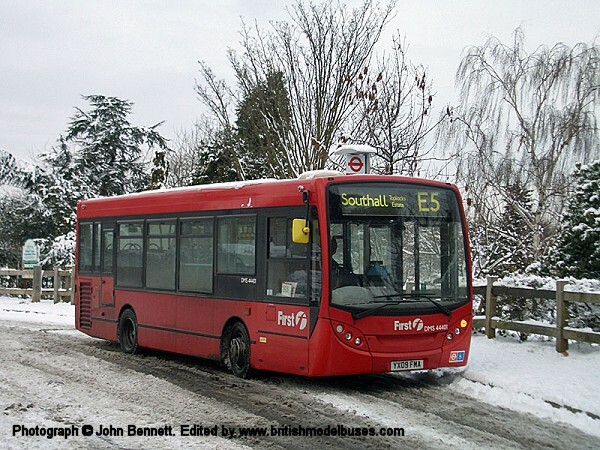 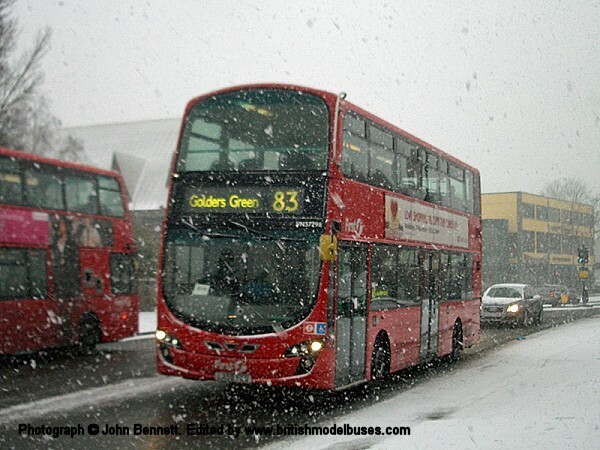 Fleet number 462 (YN03DFK) on route 320 in a near blizzard in Market Square, Bromley 18 December 2010.